The cold hard truth is that when you have a C-section you are cut open. As a result you will have a scar in your lower abdominal region. It takes time to heal and it can be tender and sore for a few weeks after the birth of your baby. Of course having a baby is not a time when you can just rest and relax and so it becomes a challenge to protect your healing scar while also doing what you need to do to feed and care for your new baby around the clock, and of course anything else you might need to do if you have other children at home. 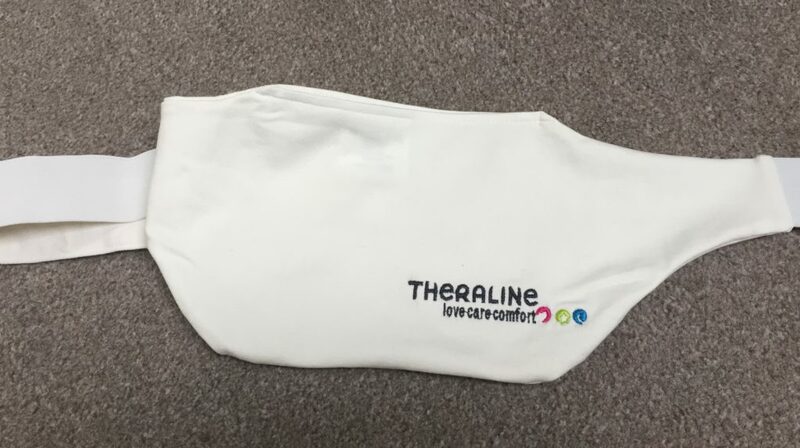 I was recently contacted by Theraline who are the makers of the Caesarean Belt. They sent me one of their belts to take a look at and I have to say I am very impressed. I never used any type of belt after any of my C-sections although one of the worries I definitely had was any damage to the scar area. I used to put dressing type materials inside my pants, over my scar to try to protect it but of course it wasn’t exactly the greatest barrier and moved around all the time. In hindsight I could have done with something more practical. When I opened the Theraline Caesarean belt box I was greeted by a “bum bag” type belt with a pouch. The belt itself has 5 different button holes for various sizes and half the belt is elastic. Inside the pouch was a plastic shield. I couldn’t help but think of those “boxes” that male cricket players wear down their shorts to protect their bits! But I guess that is exactly what it is designed to do; protect you. 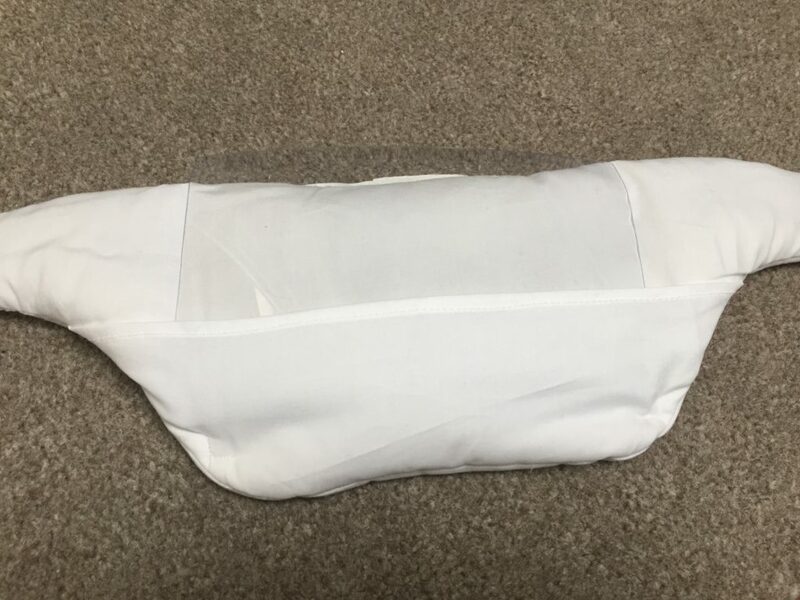 The plastic shield sits into a soft pillow insert with cushioning material creating a lovely soft barrier between the scar and the outer wall of protection. 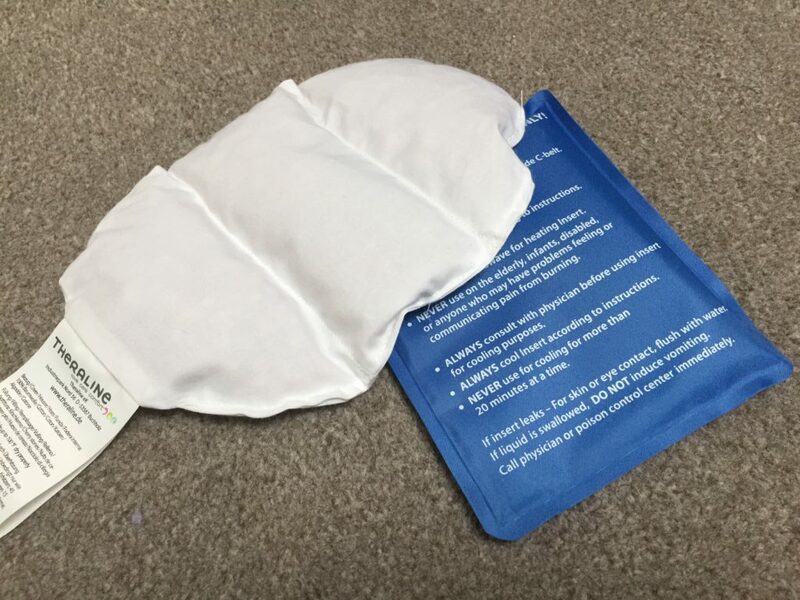 As well as the plastic shield and soft cushion there are two other inserts that can be used in the belt instead; a cooling pad and a bean bag type insert that can be microwaved for warmth or put in the freezer for an alternative method of cooling. These inserts are particularly useful if you are feeling some pain or discomfort rather than just wanting to protect the scar area from clothing or indeed toddler kicks. I often get lower back pain and know that a little heat treatment can really help. I am already imagining just turning the belt pouch to the back so that I can now do my heat treatment with the Theraline belt. In pregnancy terms certainly great for those final weeks of pregnancy when the back pain is at its worst. In reality it is much more than just a Caesarean belt. I am really impressed with the design and quality of the product. It’s the exact product I could have done with 10 years ago! I have to say the plastic protective shield certainly sets it apart. I’d almost be tempted to have another C-section just to try it out properly…..almost!. In all seriousness I’m not planning any more C-sections but maybe one of my lovely C-section Mums readers is pregnant and has a C-section coming soon, or maybe you know a friend or family member who may need this product. I am delighted to say that Theraline have given me another belt especially to giveaway. All you have to do is use the Rafflecopter form below where you have multiple, simple ways to enter. The winner will be contacted after the closing date and asked for their postal address to receive their prize. It is open to residents of UK and Ireland. If you are not lucky enough to win the prize you can check out and purchase the belt and all of Theraline’s products on their website. 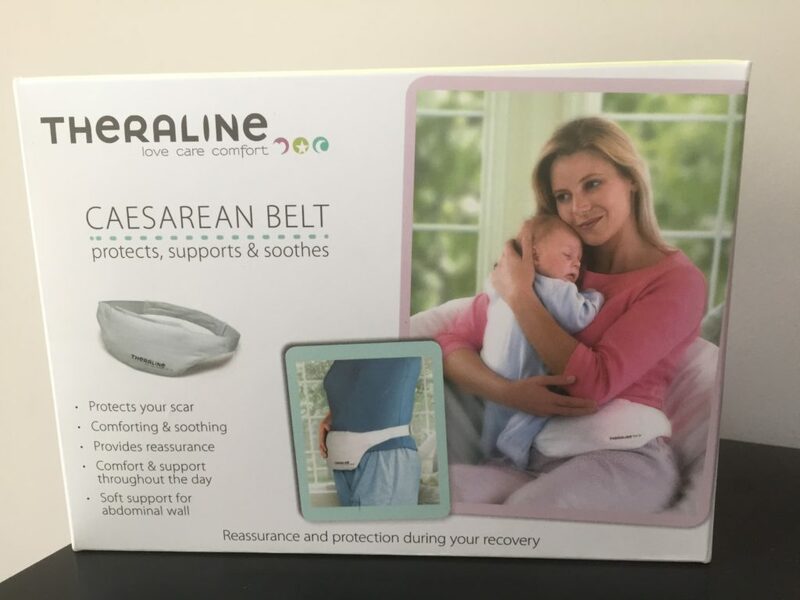 Disclaimer: I was not paid to write this post however Theraline UK did provide me with two Caesarean belts; one for me to take a look at the product and one to giveaway to one of my readers. While some of this competition is hosted on Facebook it is not endorsed or in any way associated with them.